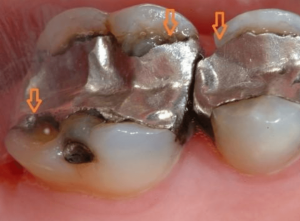 Dr. Alderman on Amalgam Fillings: Should Amalgam (Silver) Fillings be replaced? 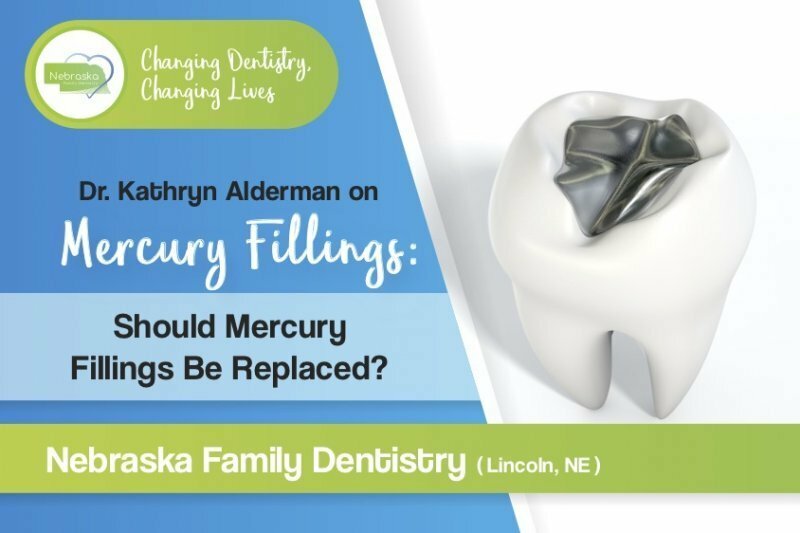 As a dentist who has been practicing dentistry for years, I will share my thoughts on Mercury fillings through this blog. 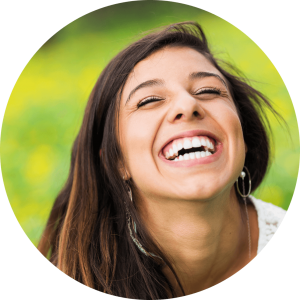 Mercury makes up about 50% of the most common fillings in the world called Silver-Mercury amalgam fillings. 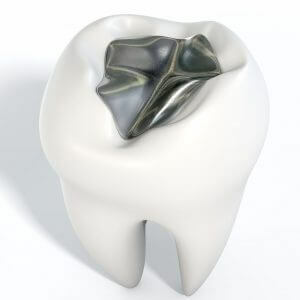 This amalgam material also contains other metals such as Zinc, Copper, Tin, and Silver. Because of the high Mercury content, these fillings are Silver in color when they are first placed; hence the name, “Silver” filling. After being in the mouth for a bit of time, it is at that point that the Mercury starts reacting chemically resulting in black corrosion. The darker the filling, all the more tarnish that has taken place. These fillings do have an electrical current that can be measured. The current and release of Mercury are directly proportional. The higher the current means, the faster that Mercury is being released. Dating back to 1976, ADA sponsored high Copper amalgam started taking over the market and is now a patent holder. Mercury is released around 50 times faster than the “conventional” amalgam before that time. As of today, by weight, dental amalgam fillings contain between 48 to 51% Mercury. Copper comes in a close second and is now leading the markets. Amalgam can be composed of up to 24 to 33% Copper. The higher the amount of Copper, the faster both Copper and Mercury are released from the fillings. A Gold crown anywhere in the mouth can also increase the rate of release of Mercury. Is it possible for Mercury to leak from Amalgam (Silver) Fillings? YES! It is undeniably true that Mercury vapor and byproducts are released from amalgam fillings. Scientists do agree that any Mercury absorbed in high enough amounts, will cause health issues. 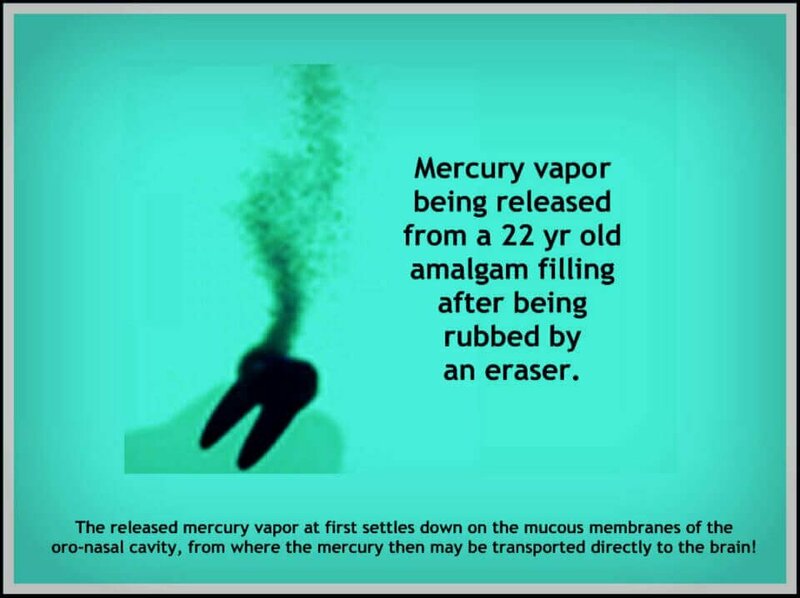 It is known that Mercury vapors are released from amalgam fillings, but the agreement is that the amount is far enough below what is accepted by the FDA-a daily intake of .4 micro-grams per kilogram of body weight. It is still somewhat unclear, however, as to how much Mercury would have to be absorbed to cause any problems. Dr. Chew has found in some university studies that within the first two years following placement, amalgam fillings release roughly 34 micro-grams per filling per square centimeter of exposed filling, each day. Daily tests were conducted on fillings placed in pure water. Many contributing factors can cause Mercury to be released faster. As previously mentioned, any other metals such as Nickel crowns, Gold crowns, and or removable bridges will increase the rate of release. Chewing food also increases the rate of release dramatically. Hot liquids, such as coffee can also increase emission by thousands of percent, but that only lasts roughly 10 to 15 minutes. As published by the ADA, abrasion that comes from chewing gum also increases the release by 1500%. Bruxism, commonly known as teeth grinding either during waking or sleeping hours, also increases the release of Mercury vapor. It is the electrical charge on a filling that gives us an idea as to how fast Copper, Mercury, and other metals are released. As previously stated, the higher the current measured, the quicker the release of Mercury is taking place. The total amount of Mercury released can be challenging to measure. There is, however, enough information to say that the current measurements are enough to contribute significantly to many disease processes. For example, the mouth is a perfect habitat. Inside the mouth it’s warm and encounters acidic foods, chewing gum, bruxism, eating food, and multiple bacterial strains. The short answer is, into your body. The areas inside your cheeks and under your tongue provide the fastest route of absorption. Of course, these areas are near any fillings, so the rate at which these materials can be absorbed is great. Through these tissues, Mercury can destroy adjacent tissues, or travel to the lymphatic drainage system and directly into the bloodstream. From the blood, Mercury can go to any cell within the body, where it can either disable or destroy the tissue. Mercury can also easily travel directly from the fillings into the lungs, and even the bloodstream-every cell can be a target. Mercury and all of its compounds are masters at moving through the cell membranes that are “lipid soluble.” Cell membranes are made up of roughly 40% fat and 60% protein. Nerve cells, however, are an exception. Nerve cells contain nearly 75% fat. These membranes that are rich in fat ultimately determine what can and can not enter the cell. Methyl Mercury is oxidized and is made into the “ionic” form of Mercury, which is a very destructive and harmful form of Mercury. Methyl Mercury happens to be the most dangerous because of its ability to enter all cells and travel great distances. Ultimately, the ionic form disrupts metabolic pathways and internal structures that keep a cell alive. All of this destruction and travel defines Mercury contamination or toxicity. It may favor nerve tissue as a destruction target, but the kidneys are high up on its list of tissues to destroy. Unfortunately, Mercury toxicity can cause significant problems in any tissue that gets in its way. For this very reason, it can be tough to devise a change in the normal state and chemistry of the body. What health problems are related to the exposure of toxins such as those in Mercury fillings? Mercury is not a radioactive material but rather a poisonous metal that can affect anyone’s health in a very aggressive manner. There is also good evidence that Mercury can in some ways, contribute to Alzheimer’s and other neurodegenerative diseases. Psychological complications: Insomnia, irritability, loss of memory, and ataxia. Gastrointestinal complications: Colitis and diarrhea. 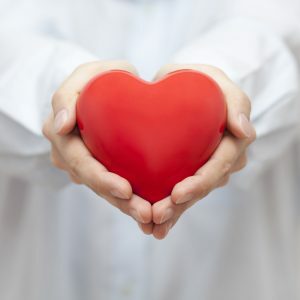 Cardiovascular complications: Tachycardia, high/low blood pressure, irregular pulse, and pains in chest. Neurological complications : Regular headaches, dizziness, movement disorders. Respiratory complications: Bronchitis, shallow breathing, and asthma. Weak immune system: More susceptible to becoming ill as the body’s line of natural defense has been compromised. Mercury should be avoided if at all possible. Mercury “Silver” fillings are a combination of Mercury, Silver, Copper, Tin, and other trace metals. Together all of these metals are combined to form an alloy. Our bodies have NO need or use for Mercury. The less Mercury we have in our system, the better. There is extraordinary evidence showing the release of Mercury in the form of vapor every time you drink, eat, brush your teeth or stimulate the teeth. Mercury vapors can easily pass through cell membranes, across the blood-brain barrier, and ultimately into your CNS (central nervous system). Once in the central nervous system, this is where psychological, immunological, and neurological problems can occur. Children, including fetuses, whose brains are still developing, are most at risk, but anyone can be affected. To place an amalgam filling requires that more of the tooth structure is removed. This is not the case with tooth-colored restorations that are currently being offered. Because amalgams don’t bond to teeth, dentists have to place an undercut in a tooth to help keep it in place-this significantly undermines and weaken the tooth and can eventually lead to cracked teeth later on. Since amalgam fillings don’t bond directly to the tooth structure, over time space is created between the filling and tooth structure allowing bacteria to get enter. 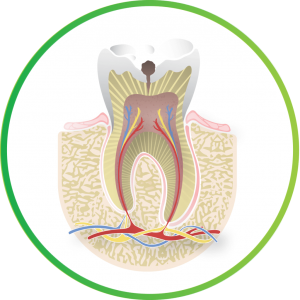 Once bacteria have entered, a cavity can develop underneath the filling. Amalgam fillings also contract and expand over time, working as a wedge inside the tooth and weakening the tooth over time. Additionally, this can lead to cracked teeth. Teeth with large amalgam fillings are prone to Cracked Tooth Syndrome and most commonly are seen on your back teeth. What is a safer alternative at our office? While in our care, your safety and comfort are always our number one priority. As a result, the use of Mercury in fillings is not done in our office. 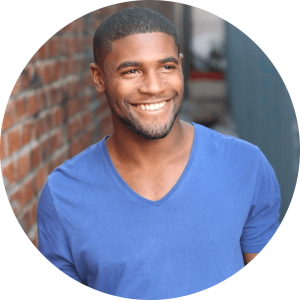 Our offices use only porcelain, ceramic, or composite restorations that are stronger and better looking. Also, these restorations are environmentally friendly while being placed due to decay, fracture or ill-fitting restorations. Composite restorations such as this one (middle tooth) are superior to Silver fillings. This type of restoration reinforces the tooth with a strong bond and has undetectable, smooth margins to help prevent leakage and recurrent decay. Cosmetic and aesthetic – Blends in seamlessly and naturally. Smooth and bonded margins – Less plaque accumulation helping offset the chances for recurrent decay. Conservative – Less tooth structure is removed to make space for the new filling. Easily repaired – Any chips can easily be corrected with surface roughening and addition of composite material. Reinforces remaining tooth structure – Because the composite is bonded to the tooth itself, it significantly strengthens the remaining structure and helps prevent wedging forces from causing cracks and fractures with repeated chewing. How is the exposure of amalgam minimized at our office for the benefit of the environment? Our office has taken steps to help reduce your exposure to Mercury vapor during the removal process of old amalgam fillings. We can remove 99.5% of the total Mercury from the wastewater at our dental office, thus protecting the environment and the local community. How to minimize exposure of amalgam at our office for your safety? 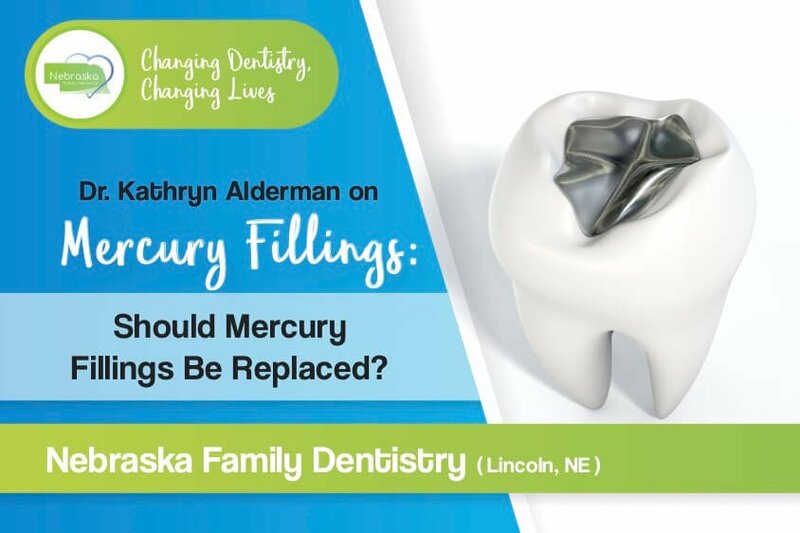 The most significant amount of exposure to Mercury from amalgam fillings is when they are placed and removed. Appropriate isolation and suction are also essential to help limit exposure to patients. Dr. Oz even suggests that if you have eight or more amalgam fillings, you should have them replaced. In response to his suggestion, I would say that removing eight fillings at once would create an abundance of exposure to Mercury. Myself, I would tend to prefer addressing replacing a few amalgam fillings every few months, instead of removing them all at one time. Keep the filling at a cooler temperature: Removal of amalgam fillings is done under a constant spray of cold water to keep the temperature low and reduce the release of Mercury vapor. Cutting the filling into smaller more manageable chunks: The removal procedure involves cutting the filling into smaller pieces that can be easily removed. Use of a high-volume evacuation (HVE): The use of a high-volume evacuation system helps scavenge and collect Mercury vapors that are released. A suction tube does remain in the mouth during the procedure to ensure the removal of saliva and Mercury. Using an Isolite: We use a non-latex Isolite to prevent swallowing or breathing of toxic Mercury. Using an air filtration system: Our air filtration system allows all vapors to leave the office every 30-60 seconds. Once the amalgam filling is removed, we recommend proper nutrition. Eating more fresh fruits and vegetables that are rich in vitamins and minerals. Eating better will aid your immune system during the detoxification process. Taking charcoal, Emergen-C, and eating cilantro have all been found to be helpful detoxification materials. 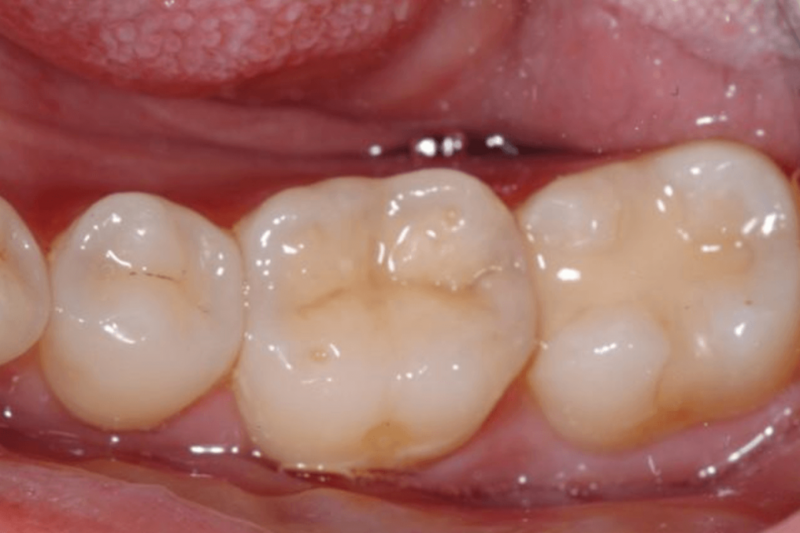 Should I have my Silver amalgam / Mercury fillings replaced? 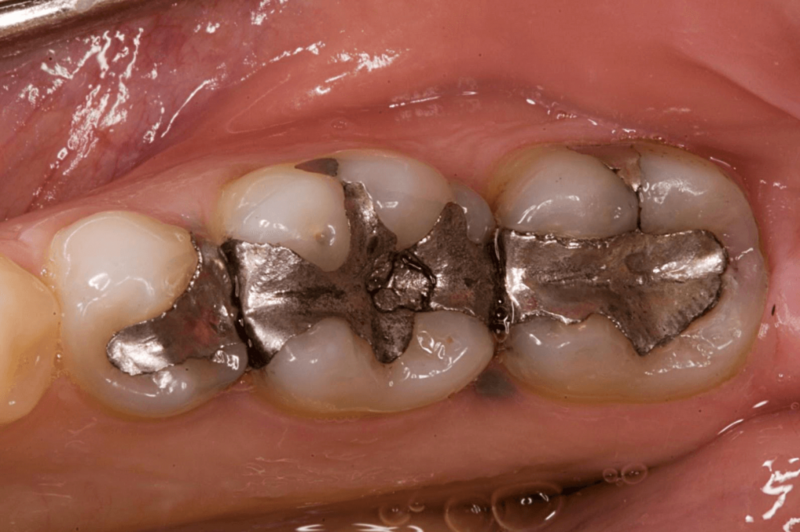 Patients who have defective margins or recurrent decay around their dental amalgam fillings. Patients who have more than eight amalgam dental fillings. Patients who have exhibited a sensitivity or an allergy to dental amalgam (lymphocyte proliferation test). Patients who grind their teeth (bruxism). Patients who consume high quantities of carbonated beverages and acidic foods-this has been known to cause prolonged levels of higher exposure to Mercury vapor from dental amalgam restorations. Patients that have medical conditions that could be correlated with metal toxicity. Dr. Oz’s guests have discussed the reasons why you might be at higher risk and how to prevent toxicity. The belief is that grinding of the teeth combined with high acid levels (from coffee, soda, vinegar, oranges) elicit more Mercury vapor. They suggest drinking soda and coffee with a straw. They also recommend incorporating garlic, cilantro, and Chlorella (a freshwater algae supplement) in your diet because they all help to bind and draw out Mercury from the body. They too suggest removing amalgams if you have eight or more, if you grind your teeth, or if there is a sign of decay or corrosion. The video powerfully demonstrates that for anyone who has amalgam fillings, every time you eat, chew, drink hot coffee or visit the dentist Mercury vapors are released into your oral cavity. The oral cavity is where Mercury can be absorbed and enter your bloodstream. The poisonous vapors are odorless, tasteless, and colorless, so you won’t be able to tell that they’re there. A single dental amalgam filling could release as much as 15 micrograms of Mercury each day. The average individual has roughly eight amalgam fillings and could potentially absorb up to 120 micrograms of Mercury per day. In contrast, eating Mercury-tainted seafood would expose you to about 2.3 micrograms per day — and that alone was enough for experts to make a global warning dating back to 2006. When multiple missing teeth need to be replaced, there are several options available for patients. For some patients, dental implants or fixed bridgework is not an option due to cost. Partial dentures offer patients a very cost-effective way to replace multiple missing teeth with a single prosthetic device. A partial denture can replace one or more teeth, unlike a full denture, which replaces all of the teeth in an arch. 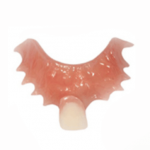 Partial dentures are a removable prosthetic device which is retained by clasping onto supporting teeth in the arch. In the areas where teeth are missing, the gum and bone ridge support an acrylic material. Partial dentures can give patients some function and improve the aesthetics of their smiles at a much lower cost than implants or bridgework, making them a good choice for some patients. It is important to note that when teeth are removed, a natural resorption of the bone in the sites where the teeth were extracted occurs over time. The only way to prevent this resorption is by placing dental implants. 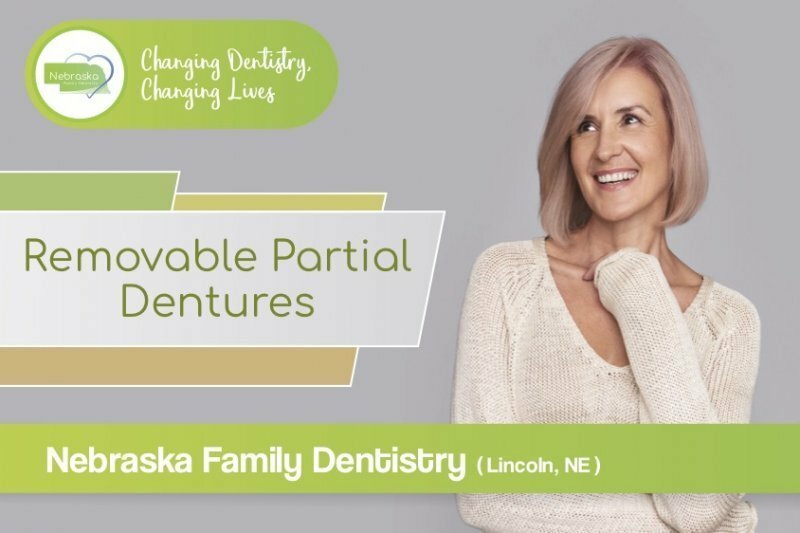 It is important to consider the types of partial dentures that are available and how many teeth are missing and the location of the missing teeth to determine which option is most ideal for you. Partials must be designed with certain factors in mind, for example, taking note of the number and distribution of existing natural teeth in the arch to help equalize the distribution of forces and minimize any rocking to occur when chewing. This type of pressure on the bony ridge can accelerate the natural bone resorption process. Partials should also be designed in a way that minimizes the pressure inflicted on the supporting teeth to help maintain them longer. There are a few different types of partial dentures available. Your dentist will help you design a partial that will best serve your needs. For a patient who is only missing one tooth, a flipper is an option. It is made of an acrylic material. Flippers can be a permanent or temporary solution to a single missing tooth. These can be made in one day at our dental lab in Lincoln. Often patients who are in the healing phase of implant treatment use a flipper until the implant can be restored. This type of partial is created using a metal framework with strong metal clasps. If the supporting teeth are healthy and have adequate bone support, this type of partial can provide very stable chewing function. Sometimes the metal clasps are visible on this type of partial, depending on which teeth are missing in the jaw. If patients have an unequal distribution of remaining teeth, it is possible that this type of partial can increase the forces placed on the supporting teeth, which can reduce the longevity of those teeth. This is a newer option for partial dentures. Instead of metal framework, it is made of a nylon material which is more flexible. This material is quite strong, and the framework is thicker than that of those with metal framework. 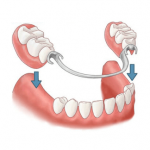 Patients who have had a metal-framework partial in the past and then switch to a partial with nylon framework often tell us that the partial is more comfortable. There are no metal clasps, making these less noticeable than the metal framework partials. This type of partial is completely made up of plastic. It has a few clips to help stabilize it, but the rest of the partial is acrylic. If this prosthetic is used for chewing against natural teeth, it will eventually break. The areas where the partial fits between teeth are very narrow, which makes this type of partial quite fragile. If patients are using this type of partial and chewing against an acrylic denture, it will last longer. 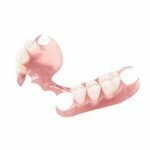 This type of denture is typically much less expensive, so if it is mostly intended for aesthetic and not chewing function, it may be a good option for you. If you are missing several teeth and would like to discuss which option is best for you, call our office and schedule a consultation. Our dentists will go through each option with you and help design a partial to fit your needs. 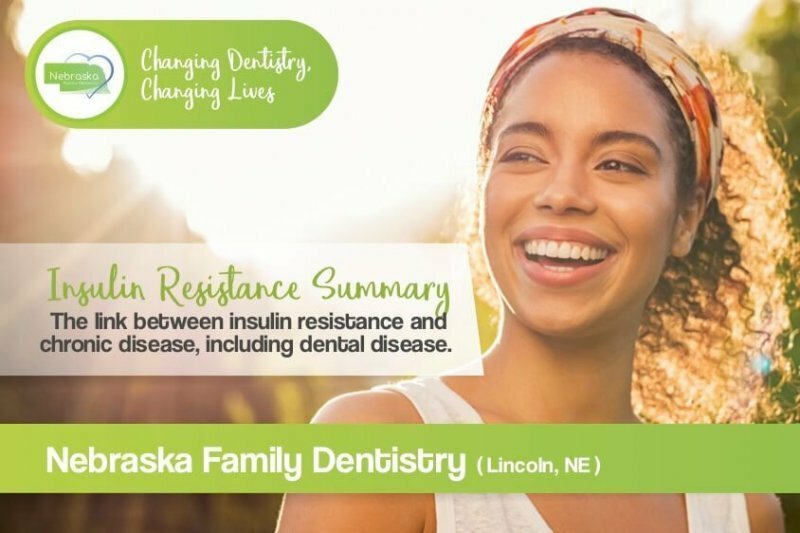 The link between insulin resistance and chronic disease, including dental disease. According to the CDC, by the year 2020 there will be approximately 250 million people affected by type 2 diabetes mellitus worldwide (1). Although the primary factors causing this disease are unknown, it is clear that insulin resistance plays a major role in its development. Evidence for this comes from (a) the presence of insulin resistance 10–20 years before the onset of the disease (2, 3); (b) cross-sectional studies demonstrating that insulin resistance is a consistent finding in patients with type 2 diabetes (3–6); and (c) prospective studies demonstrating that insulin resistance is the best predictor of whether or not an individual will later become diabetic. Sugar is an important – and popular – part of our daily diet but how does it impact overall health and dental health? Along with starch, it falls within the carbohydrate group as it consists of carbon, hydrogen and oxygen atoms and acts as fuel for the body. In fact, carbohydrates are our main source of energy, converted by the body to power our cells and keep us alive and growing. 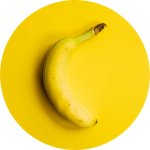 However, many of us are overindulging in the white stuff, with the average adult consuming approximately 63 grams (2.2 ounces), nearly 16 teaspoons, of sugar each day. That’s over twice the recommended daily intake. Sugar and Dental decay are correlated, with high amounts of daily sugar intake contributing to dental decay, which is the most common disease in the U.S. We know that the health of the mouth can tell us a lot about a person’s overall wellness. Kids who have a higher incidence of cavities are at a higher risk of childhood obesity, diabetes, and heart disease. Dental problems cause kids to miss 51 million hours at school. For their parents, this means 25 million hours missed at work every year. Adults that have dental problems tend to have other health problems as well. For adults and kids, diets High amounts of sugar do lead to higher rates of cavities but there is more to diets high in sugar. Find out below exactly what sugar does to your body. When we digest sugar, enzymes in the small intestine break it down into glucose. This glucose is then released into the bloodstream, where it is transported to tissue cells in our muscles and organs and converted into energy. Beta cells in the pancreas constantly monitor the amount of glucose in the bloodstream and release insulin to control it. This means that if you consume more sugar than your body needs right away, it can be stored for later to keep your blood sugar levels constant. If your body stops producing any or enough insulin, or if your cells become resistant to it, this can result in diabetes, leaving your blood-sugar levels to rise to dangerous levels. Periodontitis is a chronic inflammatory condition that causes tissue and bone destruction and is one of the main causes of tooth loss in adults. Diabetes is a major risk factor for periodontitis. Diabetic patients are three times more likely to develop periodontitis. There is a two-way relationship between the level of hyperglycemia and severity of the periodontal condition. It is not completely clear through current evidence what exactly causes this relationship, but it is believed to be related to the decreased immune function of the diabetic patient. Research shows that people who have diabetes that is poorly controlled are more likely to suffer from other chronic inflammatory conditions, including periodontal disease. Patients who have insulin resistance or have a diabetes diagnosis should seek regular dental care and be screened for signs of periodontitis due to the correlative relationship between glycemic control and active periodontitis. 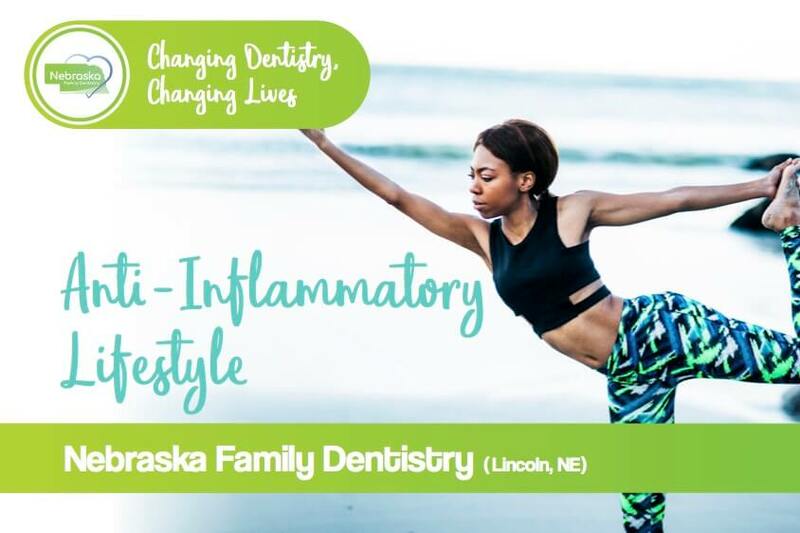 Your Lincoln dentist can not only help you to control your periodontal condition, but can help you find ways to reduce general systemic inflammation that can impact not just the diabetes, but other inflammatory processes. As humans, we are programmed to love sugar. Our primate ancestors evolved to seek out sweet foods for their high-energy content to increase their chance of survival when food was scarce. Nowadays food is much more readily available, yet we still can’t get enough of the sweet stuff. The reason for this is all in the brain. When we eat sugar, the brain releases dopamine and serotonin, the hormones that boost your mood, which then stimulate the nucleus accumbens – the area of the brain associated with reward. This is a similar process that leads to drug addiction, which is why we get those sugar cravings. Regular sugar consumption can also inhibit dopamine transporters, which can lead to you needing to eat even more sugar to get the same pleasure-reward as before. In addition, fructose, which is used to sweeten many foods and drinks, doesn’t suppress hunger hormones like glucose does, meaning your body is unable to tell when you’ve eaten enough. Sugar comes in many forms but they typically have names ending in –ose. As well as glucose and fructose naturally found in fruit, vegetables, and honey, lactose and galactose can be found in milk and dairy products, and maltose in barley. These natural sugars are fine in moderation as they also come with other nutritional benefits. For example, a piece of fruit will also contain fiber, which helps limit the amount of fructose the body absorbs. Added sugar, used to improve the taste and textures of foods and drinks, is the type that is considered unhealthy. This usually comes in the form of sucrose, or as a sugar substitute such as sucralose, saccharin, aspartame or high-fructose corn syrup (HFCS). HFCS is artificially produced from corn and used in many processed foods and fizzy drinks. To find out how much sugar is in your food, check the ‘carbohydrates – of which sugars’ value on the label. You are showing signs of insulin resistance; What does that mean? Will you develop diabetes or can this be reversed? Some people are genetically predisposed to insulin resistance while others may have a lifestyle history that has led to insulin resistance. Insulin is the most important hormone in our body when it comes to fat storage and breakdown. Insulin takes the carbohydrates that we eat and converts them into glycogen for energy which is stored in our liver and muscles. Once the glycogen stores in the liver and muscles are filled, the body stores any excess glucose from the carbohydrates as fat. Eating a diet high in refined carbohydrates can lead to excess fat storage on the body. 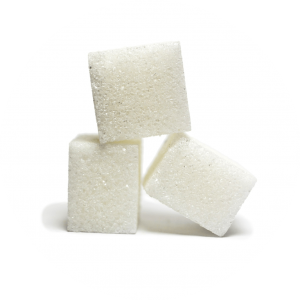 There is evidence that an exaggerated insulin response to sugar is linked to several chronic inflammatory conditions besides type II diabetes like PCOS, high blood pressure, non-alcoholic fatty liver disease. The internet is filled with information with different opinions and advice on insulin resistance and how you can control it. Is there one answer for everyone? No. Everyone has different genetic predispositions to insulin resistance. What works for one person may not work for another. For example, you may know someone who can eat whatever they want, including bread, cake and pasta, yet have perfect lab results and not gain a pound. Other people eat nothing but veggies and fruit, lean protein and exercises daily but still have “abnormal” lab results. Why is this? It is possible that no matter what a person eats, they may be genetically predisposed to metabolic syndrome, a precursor to diabetes. Metabolic syndrome includes five major signs: obesity, high blood pressure, high triglycerides, high blood sugar, and low HDL (good cholesterol). This genetic variability is what keeps so many people working in the healthcare field so busy. Our knowledge about what causes chronic diseases and how we can prevent or reverse them changes every day. Dr. Peter Attia is a great resource for information on insulin resistance. He is a physician and former surgeon who is passionate about the subject of increasing human longevity. Dr. Peter Attia describes insulin resistance as: an impaired response of the body to insulin, resulting in elevated levels of glucose in the blood (a key component of type 2 diabetes and metabolic syndrome). Insulin resistance often will lead to developing cardiovascular problems, obesity and ultimately diabetes. He compares insulin to gravity. Like gravity, insulin is a constant. It is both within our bodies and acting upon our cells whether or not we realize it. Gravity is something constant in the universe and is always at work, whether or not we realize it, accept it, like it, or care about it. Producing insulin is something that happens naturally, and our job is to control it. In many cases, doctors may recommend medications as well as lifestyle changes to manage or treat a condition. In some cases, medication is necessary, but why? Is taking a medication like putting a band-aid on something that we could prevent or reverse with lifestyle changes alone? Being an advocate for yourself, ask your doctor questions about what changes you can make that can enhance your treatment or eventually help you to no longer need the medication can improve the quality of your life and help to reduce the chance of further health complications from side effects. There are thousands of posts online about the relationship between dietary carbohydrates and insulin resistance. Some of this information can lead readers to believe that those who eat a very low-carb diet can induce insulin resistance. This is not true. Low-carb diets are not necessarily a bad thing for many people, but it is important to know that it may not work for everyone. People who do high-intensity exercise or who are pregnant require more carbohydrates than those who lead a less-active lifestyle. The important thing to remember is that moderation is the key. Although pregnant women generally have a slightly higher daily requirement of carbohydrates, if there is consumption of an excess of refined carbohydrates, this can lead to gestational diabetes which is dangerous for both mother and child. The best sources of dietary carbohydrates for everyone are unprocessed, complex carbs found in potatoes, sweet potatoes, fruit, and rice. Bread, pasta, cookies, and potato chips are not good sources of carbs. Still confused about what to do? What’s the bottom line about insulin resistance? Can it be reversed? Unfortunately, there is not a one-size-fits-all recipe for good health. We can try to live the healthiest lifestyle possible, but the truth is that some people are just more prone to health problems than others. 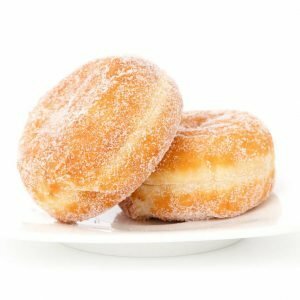 Remember that even if the health claim you read about online has worked for 10,000 other people, it may not work for you and although it may be difficult to eat the “perfect diet,” it is possible to control insulin resistance by avoiding refined carbohydrates and exercising on a daily basis. Daily exercise does not have to be intense or difficult. 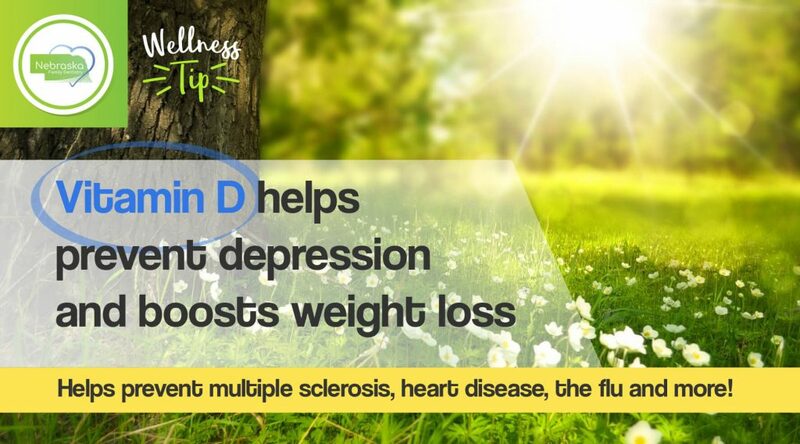 Doing something simple to stay active like taking an evening walk can help release feel-good hormones and reduce stress hormones like cortisol which contribute to inflammation and insulin resistance. Even if you aren’t inclined to be a total health nut, consistently making good choices will eventually become a habit. If we get in the habit of making good choices like eating fresh fruits and veggies and exercising, it will start to feel as natural as brushing your teeth. Make some of your favorite high-calorie foods like cheesecake or bacon cheeseburger and fries a treat rather than a part of your daily routine. When you indulge, you’ll enjoy them more. Sticking to a healthy eating plan can seem like a daunting task for many of us who are busy with work, kids and extracurricular activities. Try to plan meals ahead and have plenty of good choices available so that it is just as quick as grabbing a bag of potato chips. It may not be possible to completely “cure” your diabetes, but is possible to control it. Changing your diet and exercising regularly have been shown to help reduce the amount of medication needed (insulin, metformin, etc). On Dr. Attia’s website, one individual shared that his physician was considering removing his Type 2 diabetes diagnosis. He lost over 140 pounds in 500 days and now has normal lab results. He anticipated that at his next checkup, he and his doctor would review his bloodwork and potentially remove his diabetic diagnosis. How cool is that? Hard work really does pay off! Remember that what worked for one person may not work for you, but don’t get discouraged. It is most definitely worth trying to be as healthy as possible for the quality and longevity of your life. Hopefully, you will be inspired help control your insulin resistance by making some changes to your diet and exercise habits. At Nebraska Family Dentistry, Dr. Kathryn Alderman is your local biological dentist serving patients at various locations in Lincoln, NE. Dr. Alderman is passionate about helping patients live healthier, happier lives and knows that having a healthy mouth can greatly impact a person’s overall well-being. 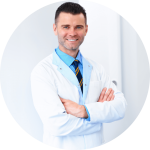 Dr. Alderman will carefully review your medical history and help you treat your dental conditions using materials and techniques that will benefit your overall health. If you have concerns about older metal restorations that may require replacement or the safety of dental treatment for patients with specific medical conditions or dental anxiety, This Lincoln, NE biological dentist would be happy to meet with you and answer any questions you may have. Are you wondering about starting a wellness program in your dental office? 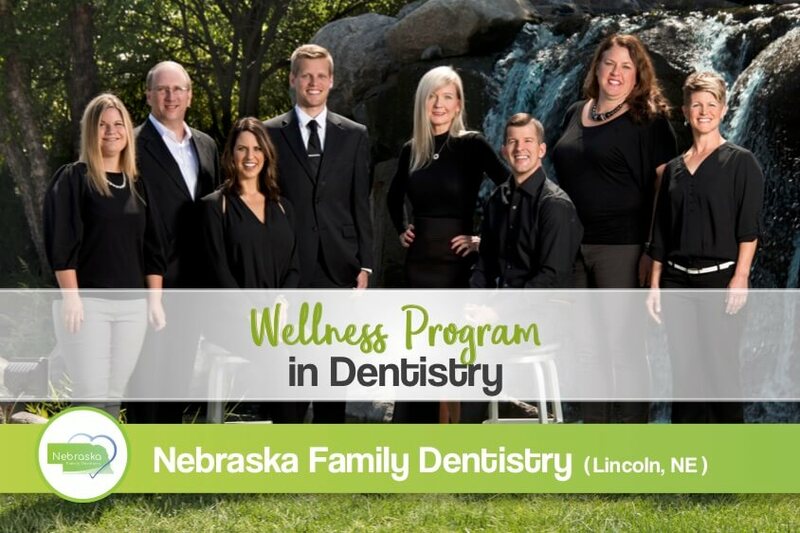 We will share how we started the wellness program in dentistry at our offices. Wellness is about everything, and not just about working out or eating well. Doing those things are important, but are not enough to stay well. 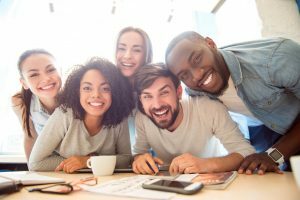 Wellness in a dental office extends to how the schedule is designed, working relationships between teams, and even the sense of appreciation or purpose among team members. Dentistry as a career has many daily challenges and the same challenges can present at a single or multi-provider office. The single most valuable asset in any dental practice is the dentist and the dental team. Wellness and work-life balance are essential to the maintenance of each person, on every team. 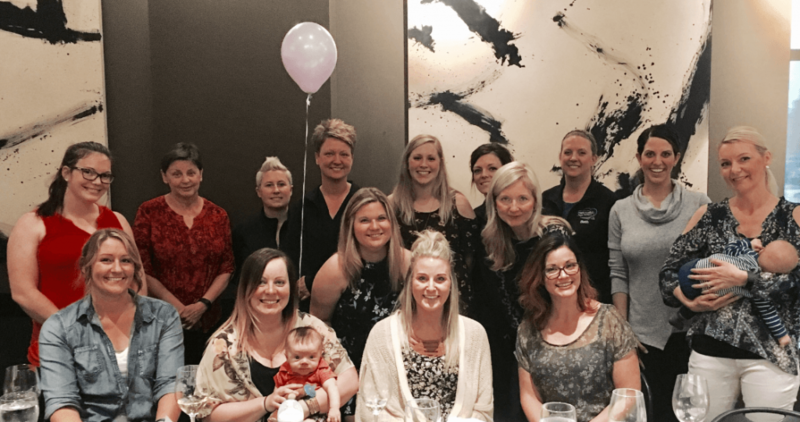 Without this team, the dental practice would cease to exist! It may be the very same set of challenges for a single dentist or a group of dentists looking to start a wellness program within a dental office. 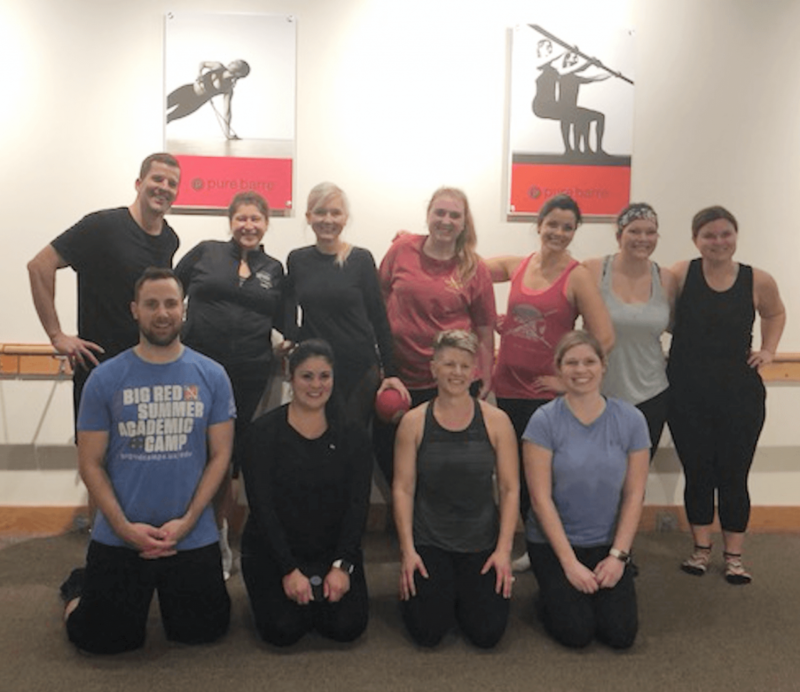 In this blog, we will outline how we started the wellness program in our dental offices which in turn, has helped promote wellness at the workplace. We hope that this will inspire you to start yours. Before starting our wellness program in dentistry, we created two simple mission goals to shape our culture. #1. To become the friendliest dental office in town. #2. To have a great place for our team members to work. 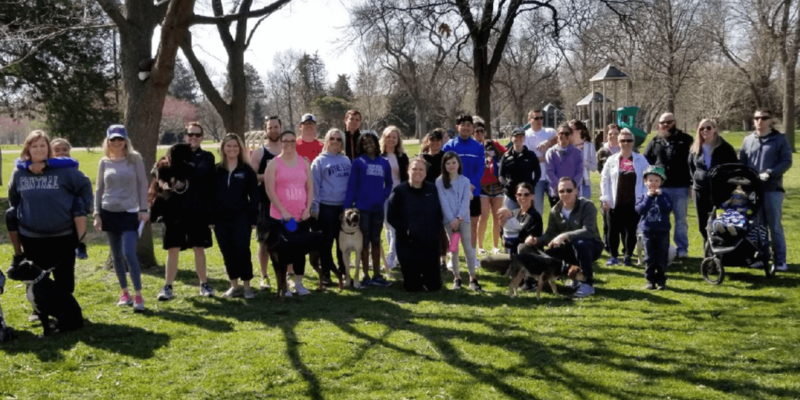 Wellness program in dentistry and mission goals, how are they connected? We believe that defining mission goals is an essential part of building any culture. 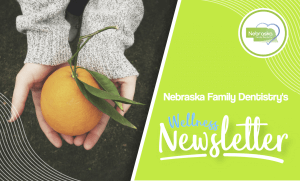 Starting a wellness program in dentistry was and is, a crucial part of helping Nebraska Family Dentistry accomplish missions goals for both our patients and our teams. We believe that promoting wellness creates an environment where team members enjoy working, while providing the best experience for patient care. Our wellness program created in 2018, is targeted towards keeping our patients and our team members healthier, happier and hopefully helping them to live longer & better lives. We recognize that for patients, the dental office is usually not their favorite place to be. When patients come to our offices, we want to give them the very best clinical care possible, while helping them feel at ease during their appointments. We provide many amenities as well as sedation dentistry for patients to help them have the best possible experience. By creating positive experiences during dental appointments, we hope to help patients reach optimal dental health, leading to an improvement in their overall health and well-being. We also educate patients and provide tips on how to live healthier lives. We believe that by promoting a healthier lifestyle, we can help patients prevent dental diseases. Wellness program in dentistry and weekly health tips for our teams and patients. Every week, we share wellness tips with our teams and patients. While it is important to have information about preventing cavities and treating periodontal disease among many other dental topics, our wellness oriented writers compose blogs connecting dental health to overall health. Check out the article below on living an anti-inflammatory lifestyle and the importance of making lifestyle changes. Incorporating these changes into your daily routine, can help put periodontal disease into remission or prevent it altogether. IQAir assists people in living longer, healthier lives by providing some of the very best air quality products in the world. We are proud to offer clean air to our patients and our teams. 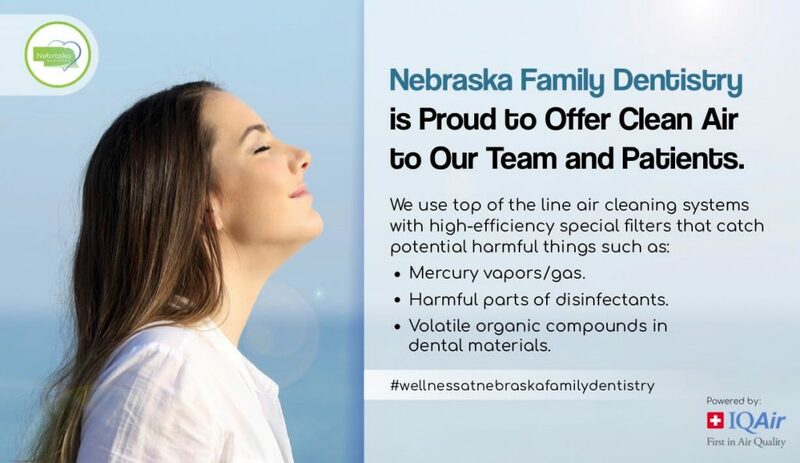 As a part of our wellness program and promoting wellness at the workplace, we have installed an air-filtration system to help reduce the number of harmful aerosols that are created during dental appointments. The air-filtration system helps remove excess mercury vapor that is released into the air during the removal of old amalgam fillings. In addition to this office-wide system, we have individual air-vacuum units at each of our locations. This vacuum helps to pull in more of the vapors near the patient’s face during amalgam removal. Not only does this new system reduce the risk to patients during appointments, but it helps keep our offices safer for all team members reducing the mercury vapors and bacterial aerosols during patient care hours. As a part of our wellness program in dentistry and promoting wellness at the workplace, we have snacks available for our teams. We try to avoid providing snacks high in sugar and rather, focus on stocking snack shelves with protein and fiber-rich snacks, such as nuts, oranges, and whole wheat crackers. Our team at Nebraska Family Dentistry also actively promotes wellness among ourselves. Our team regularly shares wellness tips on our private Facebook group page. Weekly, each team member contributes a tip. We also do group activities that promote wellness. For example we may do group exercise classes, movie nights, and or team lunch & learn events. At these events we may also talk about ways in which we can improve our own wellness as well as share ideas and insight on how we can provide better care to our patients. As a team, we choose to be warm and positive each day with one another as well as our patients. Using positive language and recognizing and appreciating one another each day with compliments on a job well done or thanking one another for helping out, keeps team morale high. Team members give out “Recognition Cards” which are a thank-you note for a job well done and helping above what is or may be expected. 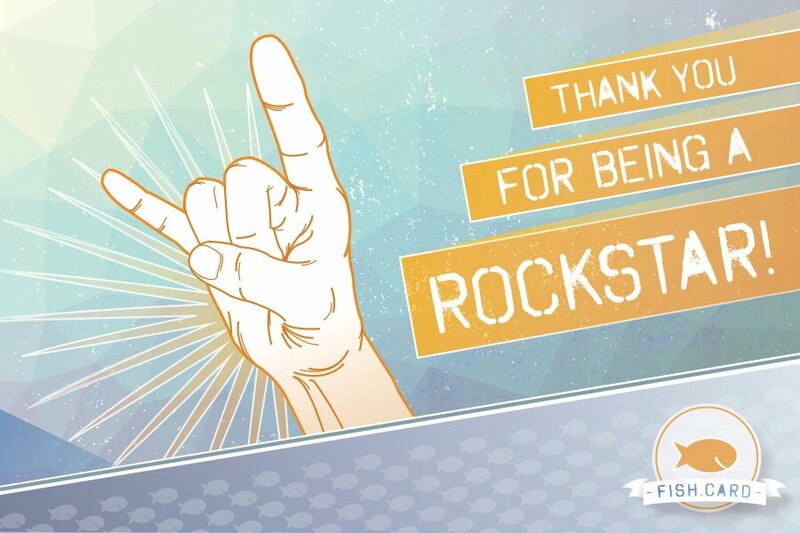 Those appreciation cards are encouraged to be shared among team members every time someone helps and or goes above and beyond. 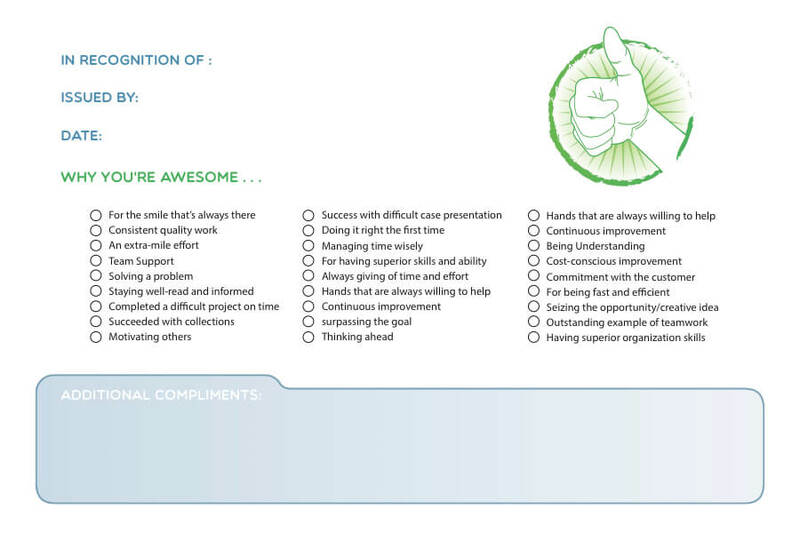 This type of recognition for team members may seem small, but it helps team members feel appreciated for their efforts. Each team member is thanked quarterly by the doctors with a gift for a job well done with the amount reflecting the number of appreciation cards that team member collected. It is important to reward team members individually and as a team together. At our offices, we work extra hard every single day to provide exceptional dental care. It is important to have strong teams, who work well together. Those daily things cannot be accomplished by just one person. It always takes a whole team, working together. The amount that gets deposited varies from $5-$10 per day. After the amount builds up, teams can spend their fun fund in any way that they desire. It can be on a group activity, lunch, or even a spa day. At Nebraska Family Dentistry, we work very hard to create the best dental offices for all of our patients. We want them to choose us for their dental care. Creating our wellness program and promoting wellness at the work place allows us to accomplish our mission goals and to be at our best every day. Diabetes is known as a systemic disease. Systemic means that it affects the whole body, not just one area. Since our body is one working unit, what goes into our mouth can affect the entire body and vice versa, something systemic that happens in other areas, can indeed affect the mouth. Diabetes may be something that a person is genetically predisposed to or it may be something that develops as a result of lifestyle. It has many diverse complications and can be extremely difficult to control. There are many types of diabetes. Most commonly, we know of two; Type 1 and Type 2. Type 1 diabetes means that a person is insulin dependent and Type 2 means that a person may be able to control the effects of diabetes with diet and exercise. Thus, possibly even reversing it. There are also other types of diabetes such as the type that can affect expectant mothers occurring during pregnancy, which is known as gestational diabetes. A person can also be considered “pre-diabetic.” In this case a person will present with slightly elevated. If steps are not taken to bring the blood sugars down to an acceptable level, a person will progress and become diabetic. 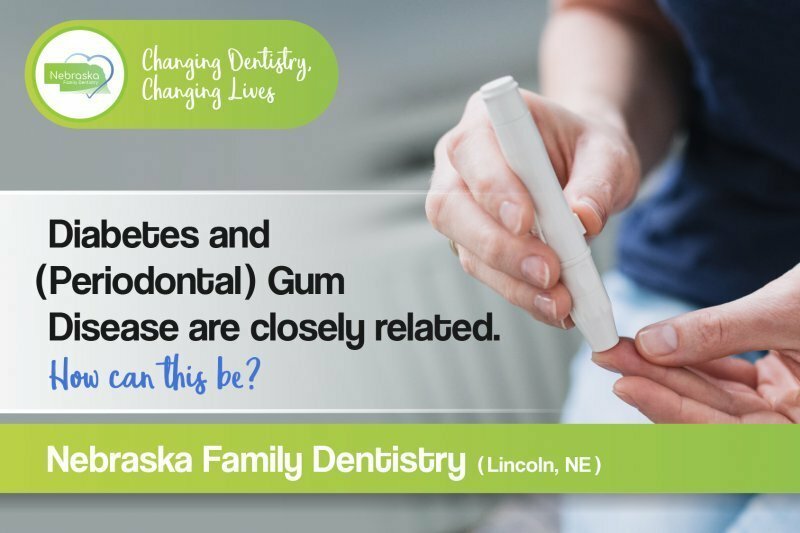 All forms of diabetes are connected closely to dental health. Patients with any form of diabetes tend to have a higher risk for developing cavities, dry mouth and gum disease. When you have diabetes, whether insulin resistant or a deficiency in insulin secretion, there is the inability to transport glucose, which then remains within the bloodstream leading to hyperglycemia (high blood sugar). This can then lead to diabetic complications. The most common complications with which we are familiar include neuropathy (weakness, numbness, pain) and delayed wound healing. Many times, diabetics can experience non-healing wounds, especially on their feet where a person who has neuropathy may never even know they bumped their toe. Another complication that is experienced by diabetics is periodontitis, which is inflammation within the tissue surrounding the teeth. Periodontitis can then develop into Periodontal Disease, which is the sixth complication of diabetes. Once Periodontal Disease has set in, a person now has a chronic bacterial infection that will affect the teeth and bone (within the mouth). Certain microorganisms, in particular those that are gram-negative, are in the bacterial plaque and begin adhering to the teeth. Many times, Periodontal Disease is silent and can be present without being noticed up until a person is experiencing tooth mobility (loose teeth) or even worse, tooth loss. Things that a person with periodontitis might experience are bleeding when brushing or flossing, and possibly even increased sensitivity or pain. If a diabetic develops periodontitis it is very important to seek treatment to help prevention and progression. 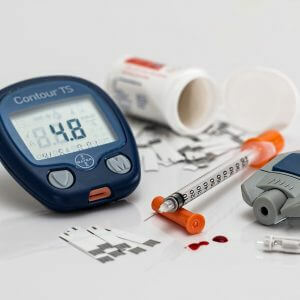 It is known that a person who has poorly controlled diabetes, is more likely to develop Periodontal Disease over a person who has diabetes, but controls it either with diet and insulin or insulin alone. As diabetes and periodontitis progress together affecting the mouth, it can eventually lead to a loss in social confidence as well as a loss in self-esteem. Thus, possibly leading to poor lifestyle choices. In a recent study it was determined that there was a definite correlation between Type 2 diabetes and periodontitis. People who presented with Type 2 diabetes and underwent periodontal treatment, showed a decrease in a certain serum (which included inflammatory cytokins). Overall, once they completed periodontal treatment the inflammation decreased thus resulting in improved glycemic control. The end result, a healthier body with reduced inflammation. The bottom line is that if you have diabetes, Type 1, Type 2, gestational diabetes, or even if you are pre-diabetic, take care of yourself! Make healthy lifestyle choices and doing all of the right things will help your overall health and inflammation. You’ll feel good about yourself too, knowing you’ve made good choices. That right there is an easy confidence booster. The following lifestyle choices can decrease the risk of developing periodontal disease and can help keep it in remission in patients who already have it. Eating a diet rich in omega-3 fatty acids, the kinds found in fatty fish (herring, salmon, sardines, trout, tuna,) or fish oil, and flaxseed. Avoiding eating foods with added sugars, such as fructose. Stopping drinking soda or energy drinks. Taking probiotics with multiple strains of beneficial bacteria. Taking Vitamin C and D daily. Eliminating foods such as dairy or foods that contain gluten that may be causing sensitivity to as allergies potentially create inflammation in the gut. Exercising regularly — it’s a natural anti-inflammatory. Practicing deep relaxation like yoga, deep breathing, biofeedback, or massage, as stress worsens the immune response. Sleeping at least 7 – 8 hours each night. Dr. Chris Sullivan earned her DDS degree from the University of Nebraska Medical Center College of Dentistry. He’s dedicated to providing patients empathetic care that meets patient’s unique needs, including those with diabetes. To learn how Dr. Chris Sullivan can help you to be at your healthiest schedule online 24/7.